Struggling Bolton Wanderers claimed their first league win since Boxing Day as they pulled off a shock against Championship play-off contenders Birmingham City. Phil Parkinson’s side arrived at St Andrew’s on the back of a run of just two points in seven games, in which they had scored just three goals. But Callum Connolly’s 71st-minute header proved enough to settle the contest. 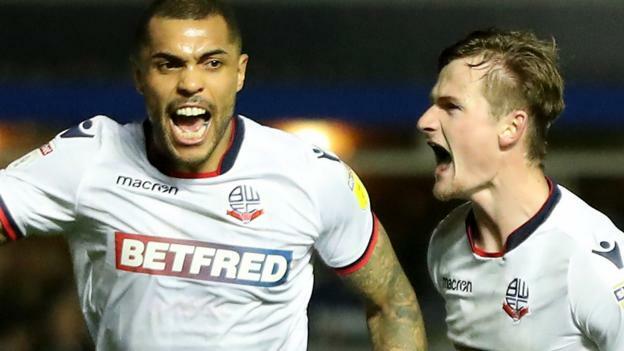 Bolton’s third away win of the season – and first since 18 August – lifts them within two points of safety, while Blues fell to a second home defeat in three games. Blues carried a marginally greater threat before the break as Lukas Jutkiewicz – without a goal now in 15 games – twice went close. As well as his powerful shot straight at Bolton goalkeeper Remi Matthews, he also went close with an effort that ended on the top of the net, while Maikel Kieftenbeld’s fierce 25-yard shot flew just wide. But home keeper Lee Camp had to be alert to deny Craig Noone at close range after ex-Blues striker Clayton Donaldson had caused some disarray in the home defence. Jota then went closest of all for the hosts when his shot was tipped on to the post by Matthews, only to find himself immediately subbed by January signing Kerim Mrabti. But, instead, it was a Bolton substitute who had the game’s major impact, when half-time replacement Luke Murphy crossed from the right wing for Connolly to power home a header. Blues’ 19-goal top scorer Che Adams had a chance to equal City legend Trevor Francis’s 41-year-old club record of netting in seven successive league games, but his only good chance came in injury time when he was superbly denied by Matthews’ outstretched left arm.